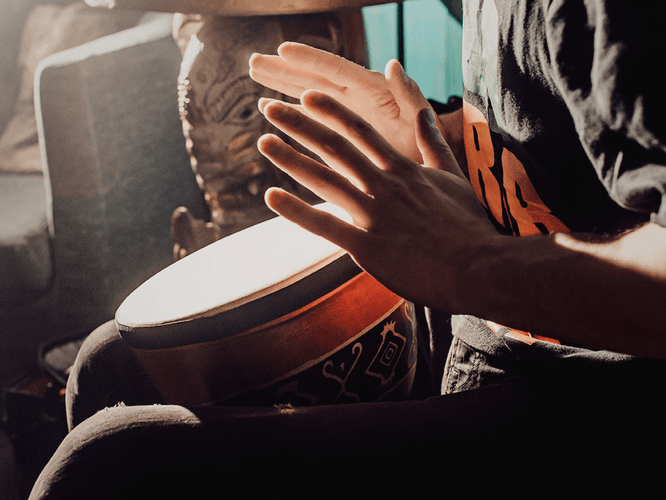 Whether you are completely new to meditation and drumming or a pro, everyone is welcome to this light-hearted afternoon! We will build from guided meditation, to unique and hypnotic drum rhythms and finally to include sacred yoga mantras. The finale will be the whole group experience combining with vocalists and guitarists to jam and perform an invigorating and electrifying live chant. You’ll even get a recording to take home and listen to as a meditation and memory - and something to show all your friends! Run by the talented and gifted musicians from the Australian School of Meditation and Yoga and The Mantra Room. Here’s our epic little schedule for the afternoon! But there’s always a few surprises too. Limited to 20 places, book early to avoid disappointment. Any questions, feel free to contact Amara at amara@asmy.org.au.